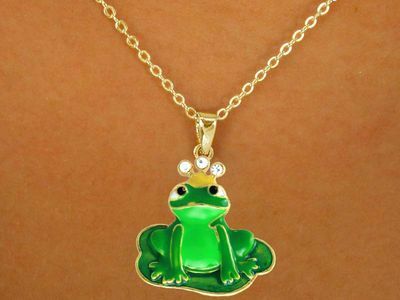 W14137N - "THE FROG PRINCE"
Lead & Nickel Free! Exclusively Ours! 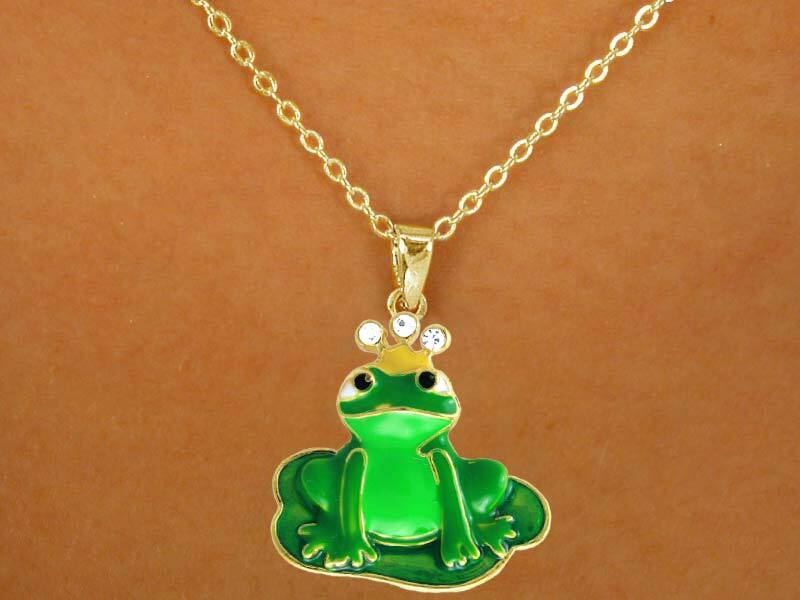 Gold Tone Lobster Clasp Necklace Suspends A Vibrantly Green Frog "Prince" With A Gold Tone Crown Set With Genuine Austrian Crystals.